Good health met great taste, and proceeded to live happily ever after. 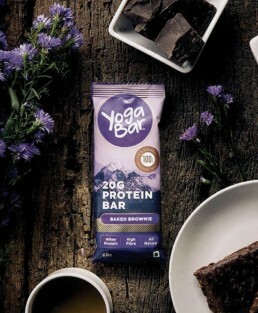 In a world where “healthy” and “tasty” usually move in different circles, Yoga Bar is a deliciously pleasant exception. Across flavours and combinations, these healthy bars deliver great taste, and sensible, nutritious energy. It’s the sort of thing only a yoga teacher and her sister, a financial wizard, could come up with. 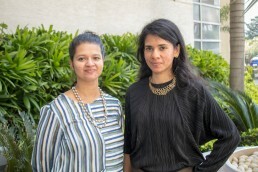 Founders, Anindita and Suhasini Sampath moved from the finance sector directly into the thrilling business of food. Their energy bars are now available at stores and supermarkets online and offline. The bars themselves have become celebrities in their own right. 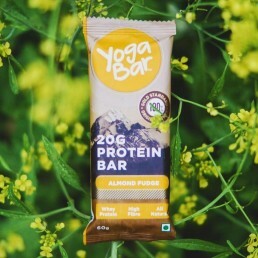 Carefully created out of nutrient-dense ingredients, and completely free of high-fructose corn syrup, artificial sweeteners, hydrogenated oils, and preservatives, a regular Yoga Bar gives you 5 grams of protein and plenty of fibre. The protein bars take that value all the way up to 20 grams, and are enriched with almonds and flax seeds.